This week, the city of Denver has become the epicenter of the craft brewing industry. 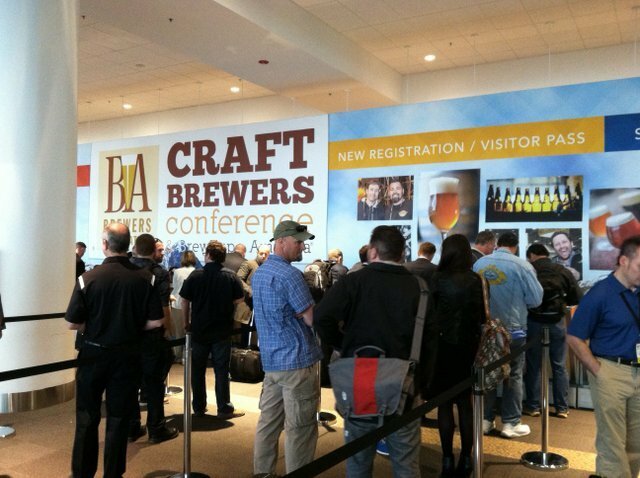 Thousands of craft professionals and would-be beer entrepreneurs have descended on the Craft Brewers Conference and BrewExpo America at the Colorado Convention Center, attending seminars, exploring the tradeshow floor and mixing and mingling at events all over of the city. Of course, not everyone can attend, so on this post we’ve tried to capture a few images that show the feeling and energy of the 2014 event. And you can tell from some of these photos, folks are not only learning, but having a pretty good time too. Enjoy. Wednesday registration was always busy. Vessels and brewhouses populate the show floor, including this Newlands Systems brew kettle. Micromatic’s draft keg and beer dispensing equipment in all of its glory. GEA Brewery Systems was well represented on the show floor. A giant blue bear looks longingly into the Colorado Convention Center, where without a badge he cannot attend the 2014 CBC. Jason Kneupper liked this on Facebook. BeerMappr liked this on Facebook.